The first wave of 2017 Grammy performers has been announced and already the hype machine is in full overdrive. No Beyoncé and Adele — yet! But the Grammys have so far announced that Metallica, John Legend, Carrie Underwood, and Keith Urban will all perform on music’s weirdest night. 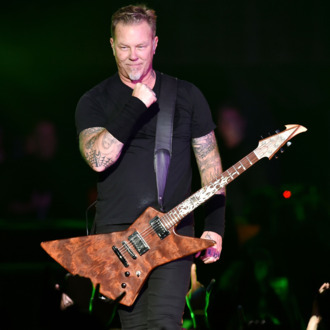 Metallica recently teased a “very unique and special” event for their first performance in three years at the Grammys; the official announcement from the awards show doesn’t give details, so brace yourselves for anything. According to the Grammys, Underwood and Urban will be making a joint appearance (most likely for his song “The Fighter”). Other performers like the Weeknd have been teased in Grammys commercials airing during the NFL playoffs, though they’ve not yet been made official. Stay tuned! The Beyoncé-Adele Super Bowl goes down February 12 on CBS, hosted by James Corden.